Even though this isn't just a Christmas thing, lists are incredibly handy when you're Christmas shopping for the family. I usually search through the Christmas catalogues and online websites to find presents, then armed with my list, go to the shop and buy them! Now I sound like my Mum. But if you're walking around for a few hours, you don't want to be breaking into your new and uncomfortable new shoes. Trainers or boots are your best options, and across-the-body bags also make for an easier shopping experience! This may just be me (holler if it isn't!) but I like to know where I'm going when I'm shopping, just because it saves so much time than having to double back on yourself. Also, going to the shops first where you know they'll be super busy is such a time-saver. Above all, just enjoy it! It only comes round once a year and with all the festive events, music and food and wine, it's hard not to get into the Christmas spirit. 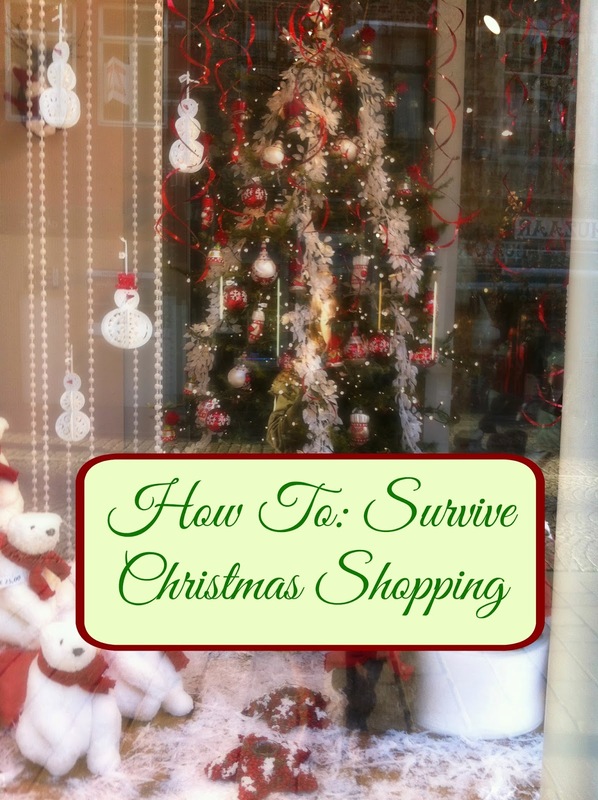 So there's my How To: Survive Christmas Shopping! What's your tips on surviving Christmas shopping?